Exercising with other people is a great way to stay motivated and one of the things that makes us different is the quality and range of the group exercise classes available here at David Lloyd Aravaca. The range of group exercise classes that we offer here at Aravaca is second to none and we can’t wait for you to try a new class. We have three studios on the second level of the building and each has been designed just for group exercise. Plus, with more than 70 classes every week, you’ll have lots to choose from. Try a holistic class in our tranquil Mind & Body Studio, or some high intensity training on brilliant Les Mills equipment. Or, how about a session in our cutting-edge group cycling studio with a virtual instructor and brand new bikes? With superb equipment and really expert instructors helping you make the most of each class, there’s no beating us for quality, either. The range of group exercise classes that we’ll offer at Aravaca will be second to none and we can’t wait to welcome new members to each class. We’ll have three studios on the second level of the building and each will be designed just for group exercise. Plus, with more than 70 classes every week, you’ll have lots to choose from. Try a holistic class in our tranquil Mind & Body Studio, or some high intensity training on brilliant Les Mills equipment. 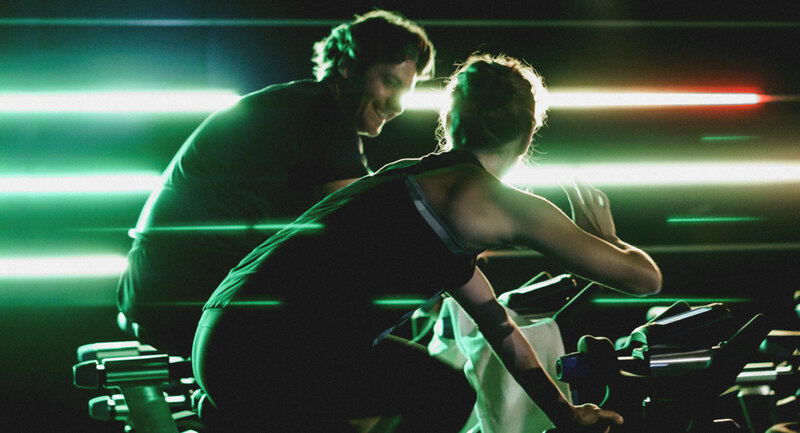 Or, how about a session in our cutting-edge group cycling studio with a virtual instructor and brand new bikes?